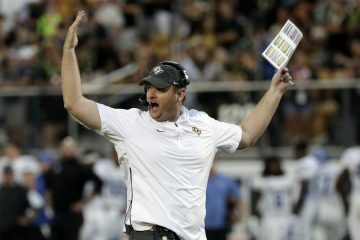 Of the five remaining unbeaten teams in college football right now, UCF is the only one that has won each of its games by double digits. The No. 18 Knights will take their perfect 7-0 mark to Dallas, Texas today and face off against SMU (6-2). 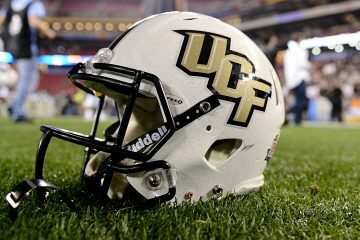 The Knights have been one of the hottest programs in all of college football behind Scott Frost, who has been linked to the University of Florida’s recent opening after the dismissal of Jim McElwain. UCF is coming off a 73-33 dismantling of Austin Peay last weekend and the point total is a single game record for the Knights. We take a look at a few keys to tonight’s matchup between the Knights and Mustangs. In the Mustangs’ 38-34 victory over Tulsa last weekend, SMU quarterback Ben Hicks threw for 338 yards and two touchdowns. The signal caller can’t be afforded the kind of time he had in the pocket last week, so an emphasis of pressuring Hicks should be on tap for this evening. Talk about playing near perfect last week for UCF quarterback McKenzie Milton. The Knights’ quarterback completed 24-of-26 passes for 275 yards and three touchdowns. Milton has been one of the most efficient signal callers in the nation and if he continues his level of play, UCF’s offense is tough to stop. 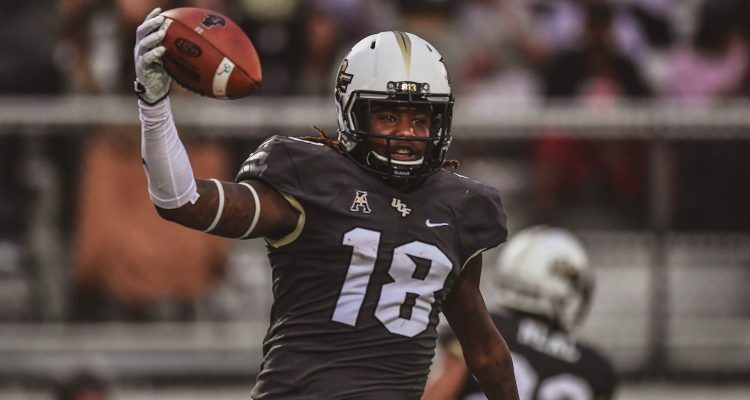 UCF has a slew of playmakers to turn to when looking for the big play. It’s been musical chairs when coming down to who will be the featured guy, with running back Adrian Killins Jr., wide receiver Tre’Quan Smith and running back Greg McCrae all having a hand in being the ‘go-to’ guys. 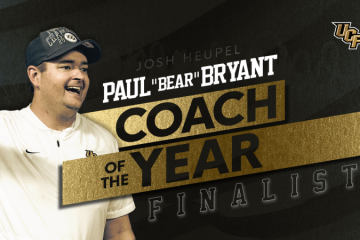 There’s not much of a preference when it comes to whether UCF is playing at the friendly confines of Spectrum Stadium or on the road. The Knights are winning by an average of 22.6 points in their three away games against Maryland, Cincinnati and Navy. With every win UCF nabs, the Knights set another school record and that’s what is at stake this evening. The Knights have never started off 8-0 and can further solidify itself as serious contender for the College Football Playoff. professional mathematics is just not at all clear-reduce https://math-problem-solver.com/ . You might not be capable of pause the energetic downloads or resume downloads that have failed.